Will the Arctic Methane Emergency Crisis Kill and Displace by the Billions? Methane is 100-200 times more warming than CO2(Carbon dioxide). It lasts well over 100 years before decaying. Meaning it will actively warm the atmosphere for over that 100 years untill it decays on the atomic level. There is a total of ~5 gigatons methane within Earths atmosphere as of now, Dr. Natalia Shakhova and her international research team expect that ~50 gigatons of methane will be released into the atmosphere over next 10-80 years from just one portion of the Arctic, it is apperantly an extremely precarious situation considering the nature of the melting of permafrost that has not been melted for eons; the ~50 gigatons from the East Saberian Arctic Self Region alone could be released over the next 80 years, or it could violently irrupt by several gigatons at a time over the next 10 years. You will see what I'm refering to within the first 15-20mins of this press conference below. Can the release of methane cause widespread increase in forrest fires and how does it work? Can it cuase an increase in hurricanes and or tornadoes and how does it work? Will it effect lightning? In what way, and how? What temperature can a human being survive at individually? What is known is that it will be a factor that accelerates climate change. I haven't read the study; but, there's also methane hydrates being released from deposits in the ocean and methane from the permafrost of the Siberian tundra. Not a really good situation. World Watch Institute insists that animal agriculture is responsible for ~50%+ of current global green house has emissions. Which could have contributed to the melting of this ancient permafrost that will release the game changing ~50+ gigaton methane monster. A far as I know methane doesn't last long at all compared to other GHG's. I didnt verify that information, thank you for your input. Depending on the rate of release, and the unkown amounts of methane leaks in other regions, this could probably mean the difference between billions of people killed and displaced by this event and merely millions. I intend to update my post and correct myself in a reasonable timespan, feel free to interject if you find the desire. I'd feel nothing but gratitude if you did so. ah, no it seems I wasn't wrong at all, over a 20 year period methane is 86-150+ times more warming than CO2(carbon dioxide), and over a 100 year period; it is 28 times more warming than CO2. (so I was correct: it lasts over 100 years) This was stated by Stuart Scott within the first 15-20min of the press conference video I provided above in my intial post. I verified it here using wikipedia as my source. I tried a simple screenshot but phone is having storage problems, however the lifespan of methane is verified within the very first praragraph of the article. I'll add that I never once claimed methane lasted longer than CO2 or other GHGs, I am quite aware that CO2 can last thousands of years. However the effect of methane given its superior warming rate; is far more concerning. ah, no it seems i wasn't wrong at all, over a 20 year period methane is 86-150+ times more warming than CO2(carbon dioxide), and over a 100 year period; it is 28 times more warming than CO2. (so i was correct: it lasts over 100 years) This was stated by Stuart Scott within the first 15-20min of the press conference video i provided above in intial post. I verified it here using wikipedia as my source. I tried a simple screenshot but phone is having storage problems, the but lifespan is verified within the very first praragraph of the article. Without looking at any of the sources, I can tell you that what the 100 times number refers to is warming potential. You take the decay rate and factor in the actual strength of the GhG in question, and then you can determine cumulatively how much warmth will be trapped by it over a certain period of time. Methane is a much stronger green house gas, which is why we note that over a 20 year period it is "86-150" times more potent than carbon dioxide, but we also note that over a 100 year period it is only 28 times as effective. This is because methane does decay much more quickly than CO2. We can say that the warming potential is 28 times greater over 100 years, but we cannot say that methane lasts for that long in the atmosphere. According to previous sources I've been exposed to, methane actually decays in around 12 years, but the impact that it has during those 12 years is large. One reason to speak of warming potential instead of talking about the decay rate and the strength of it's greenhouse effect is because the math involved makes it a bit more difficult to understand the relevant potency (sorting through units in thermodynamic exchanges isn't straightforward). By discussing the pound for pound effect of specific GhGs and referring to that directly it is hoped that a more accurate appraisal of the threat can be made accessible to laymen such as ourselves. In the worst case scenario, all the ice at the poles melts and land mass is reduced while temperatures continue to soar. This change would take about 1000 years to fully come to pass (the amount of ice to melt is staggeringly large, and it takes time for it to melt). It's possible that new deserts would form, and that old deserts would turn to forest. There might be a place for us in some new Mezosoic like climate; likely there is, but it's all fairly uncertain as of yet. ah so you've seen sources showing that the range of free atmospheric methane can range from 12-100+ years? Or atleast that it has been known to last as little as 12- years? So... again it all depends on the rate at which this methane is released, along with the rate at which unexamined regions release their unkown amounts of methane. So if this ~50+ gigatons of methane in the East Siberian Arctic Self is released within say 10-20 years(which is stated as a possibility by Natalia Shakhova's team [10-80 years]) then it would kill and displace billions. But with the information you speak of makes it much less alarming given that it happens to be released gradually in smaller increments over say a 40-80 year period. You know what, I think I'm just going to make sure I have land and sanctuary in various parts of Canada, northern China, Russian, and New Zealand. We won't live to see the devastating effects of climate change, combined with the runaway effect that could be entailed by methane release. In most likelihood, we will learn to adapt to the new state of affairs provided by climate change, at the cost of hundreds of billions if not trillions to adapt our cities and current infrastructure and agriculture. I find the press conference and vagabondspectre much more convincing. 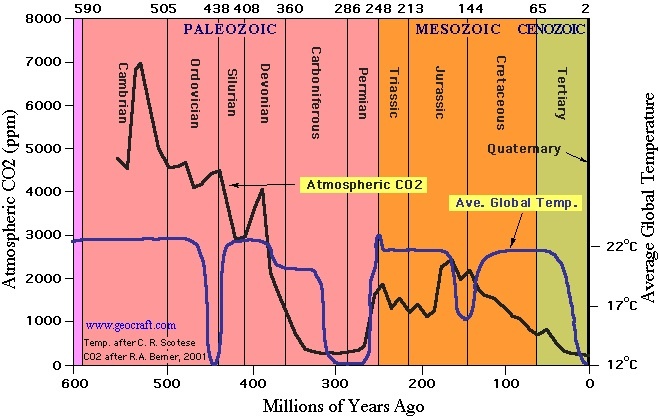 As I have explained, yes, Methane has a lifespan of 12 years (give or take) in the atmosphere, but it has a global warming potential of 28 (compared to CO2 which has a global warming potential of 1 (which represents the effect of CO2 over 100 years as a standard)). This means that pound for pound methane will warm the atmosphere 28 times more over a 100 year period than CO2 would. I have scarcely begun to consider exactly how billions would die because I've not let looked through it all, and even once I do, predicting the deaths of billions isn't exactly simple science. I live in Canada, and I don't like the cold. Does that mean global warming is going to increase the property value around here? Climate change is foremost a big uncertainty; we know that it WILL change, but we don't know just how severely, how quickly, and what the end result will actually be. Rest assured though, change is bad because everything on earth, including us, is adapted to current conditions. Any change is going to have challenges and depending on the severity of the change, one day we very well may be in a quasi-apocalypse of our own making. Resisting climate change is required to mitigate the uncertainty and inherent danger it poses, and so there is a very fine line between clarifying what we know for sure about the future of the climate and what might occur. Too much alarmism is a bad thing just as too much skepticism can has been (they feed off each-other). The methane stored in perma-frost is definitely going to have some impact, and we should definitely be looking into it and trying to slow it, but it's too early to say what the full scope of it's effects would be. We can quibble about how much methane will rise from the thawed and warmed tundra and will erupt from methane hydrate deposits on the ocean floor, and exactly how long it will last in the atmosphere. But every additional warming brings us closer to our species thermal limit. Can the relase of methane cause widespread increase in forrest fires and how does it work? By raising the average temperature of a climate area, the soils dry out (and with it, the trees eventually) and warmer winters allow insect vectors to survive. Greater insect infestation leads to more tree diseases, and more dead trees. Millions of acres of dead and/or dry trees are a forest fire hazard under any circumstances. I don't know where you live, but Minnesota and surrounding states have had very poor quality air on some days from fires which are 1000 to 2000 miles away. In some cases the smoke was at ground level all day. Can it cause an increase in hurricanes and or tornadoes and how does it work? Oceans and land in a warmer climate have more thermal energy stored up in it, and thermal energy (along with other factors) drives cyclonic storms. So, yes. The more storms, the more lightning. Methane won't have a direct effect on lightning. There is the "wet bulb temperature" -- the lowest temperature that can be achieved by evaporation. So, if it is 100% relative humidity, and the temperature is 95º F, a person will not be able to cool down below 95º. As the temperature rises above 95º F, the individual's temperature will rise with it. If the temperature rises to 106º or 108º, with saturated humidity, the person will begin to over heat and will die at some not very distant point (oh... 15 to 60 minutes, depending). Why aren't more people dying, if this is so? Two reasons: Mad dogs and Englishmen go out in the midday sun. Just about everybody else stays in the shade. That's one. The other reason is that it isn't very often 100% humidity and 110º F. People can survive 135º F if the humidity is low -- because they can evaporate away heat. Most places aren't going to experience these kinds of lethal "wet bulb temperature" levels. But the river valleys of southeast Asia will, and not in the far distant future. About 1.5 billion people live in these river valleys, and a lot of their food grows there. If people can't work the fields, they will die of heat stroke first, and if no agriculture, then starvation. Other areas will have survival problems too. The SW U.S. won't experience web bulb temperatures like Bangladesh will, but even at 0% relative humidity and temperatures of 125 all day, everything is dead before too long. (Hot air and desiccation can kill things as well as saturated humidity and somewhat temperatures). Ohe of the standard techniques spread about by Big Energy is to cast doubt in just this way: oh yes, climate is changing, but we really don't know how much and because of what. It's standard FUD, fear uncertainty and doubt. And then all those micro-doubts get strewn around cyberspace and repeated by various people, like micro-plastics entering the food chain; legislation is diluted, green energy schemes stalled, and Big Energy wins the delay it wants. Whether you live to see devastating effects of climate change depends on your age. I'm 70. I plan on being dead in a decade, so I'll be spared (I hope). If one is 50 and lives another 30 years, you'll be around to see worsening conditions, but not rock bottom. If one is 30, and might live another 60 years, you'll most likely have a view of some pretty bad conditions. If one is 10 or less, with a life expectancy of 90, hey -- you are IN LUCK -- you're going to get to see big time climate change problems. As for adaptations, yes and no. Some places in the world can't adapt -- they'll be depopulated by death or migration. Cities north of the 40th parallel and not on a low-lying shore, (like most of the Netherlands is) will not experience severe heat, severe water shortages, or severe and long-term flooding from ocean rise. A city like Boston has areas that were filled in harbor. Those areas will likely flood. Lower Manhattan will flood, but the rest of those two cities will be OK. Miami will be toast -- wet toast. New Orleans will be flushed down the drain. The Mississippi Delta comprises Mississippi, Louisiana, and south-eastern Texas. That land is too low to be stay above water. The cost of adaptation will certainly be in the trillions--pounds, dollars, yens, or euros. But there are real limits. If the wheat, soy, and corn fields of the world are too hot and dry or too wet, there just won't be as much food as is needed. As for fruits, nuts, vegetables, and the like -- some areas will do OK, and some won't. Methane is a powerful greenhouse gas. Despite its short atmospheric half life of 12 years, methane has a global warming potential of 86 over 20 years and 34 over 100 years (IPCC, 2013). The sudden release of large amounts of natural gas from methane clathrate deposits has been hypothesized as a cause of past and possibly future climate changes. Events possibly linked in this way are the Permian-Triassic extinction event and the Paleocene-Eocene Thermal Maximum. Have not heard this. Hmm, climate change makes it rain less on certain forests and increase fire risk? This is just a guess. Any global warming makes for warmer oceans, and ocean heat is what fuels hurricanes. Tornadoes is different dynamics, and I don't see a methane connection. Methane or global warming has little effect on conditions of cold air above warmer air. Methane would seem to have no effect on this. Not like concentrations would reach levels where it could ignite. About 35c skin temperature I'm told. So it's not true that we are unable to make confident and precise predictions about the long term ramifications of climate change because Big Energy must always be wrong? How many billions are certain to die? I retract my earlier statements in which I bluntly suggested billions would die, I stand on the Idea of billions being displaced and billions suffering as a certainty, given the evidance I provided. Billions dying was more of a qestion, assumption, speculation, and or suspicion on my part. I'll add that in certain scenarios, high assumptions can be healthy. Hence why I feel justified in embracing my nihilism torwards everything, all the way down to individual human life. If billions do die in famine, droughts, wars, and "wet bulb temperatures" then I woun't be emotionally effected in a negative way unless I have nowhere to go for sanctuary. Which is said to be in Canada, northern China, Russia, and New Zealand, as food could not be grown anywhere but in these regions in a world of 4 more degrees centigrade. Why? There are about 7.5x10^9 people alive today, As a practical matter, they - we - all we be dead by 2117. Per year, just the people alive today, will, as an average, die at the rate of 7.5x10^7 people per year over the next century. That's a floor of about 225,000 deaths per day. Add in those not yet born who will be born and die by 2117. Billions? Certainly. If one throws a brick at a sheet of ordinary glass, one is unable to make precise predictions about how it will shatter. One can be pretty confident that it will shatter one way or another though. The suggestion that it's ok to destabilise the climate because we don't know what will happen, is as sensible as the suggestion that it's ok to chuck a brick at the window because we don't know along what lines it will fracture. Big Energy makes that argument, and Big Energy is always wrong to make it. What is will, free will? Does God survive if we have no free will?